For Asian people in Toledo or people who like oriental taste, there are some Asian groceries in Toledo, OH that you can buy grocery for cooking by yourself. First one is Asian Grocery, located in 1801 McCord Road (Corner of Dorr and McCord) Toledo, OH. This store is quite small, but I recommend that you can find everything that you want. Even probably sometimes you can not find something that you want, you can ask the owner. She’s friendly and she likes to answer your questions too. Toledo, OH or is opposite the street from the Asian Grocery. This one is bigger than the first one and the price is almost the same. But they sell more dry stuff and snacks than the first one. So if you would like to buy fresh meat or vegetable, I suggested you to go to the first one. However, this store is cleaner and nicer than the first one. The last one which I know and I like to go there is Lee Oriental Market or on internet is called Kim’s Oriental Market. This one is located in 2527 W Laskey Rd, Toledo, OH. If you’re the one who like Oriental taste as me, you will not be disappointed when you’re there. They sell many things from Korean and Japan. For myself, I like Japanese food. So I like to buy Japanese food such as Gyoza, Shumai, Dorayaki and Pocky. Also, one thing there from Korean which you shouldn’t miss is Kim-Ji. It’s very good, if you like to have vegetable. However, the price in this store is more expensive than those one, but I like it anyway. Now if you want to try to cook like Thai food, Japanese food, Chinese food, even Indian food, you know where the source is. So, have fun and enjoy your meal. Thank you for posting this! 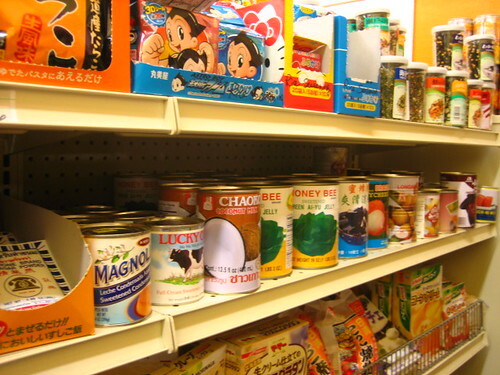 I recently moved to Toledo and I was wondering where to buy Asian groceries and food; this helps a lot–thanks!